Cambridge PH now CPD Accredited! 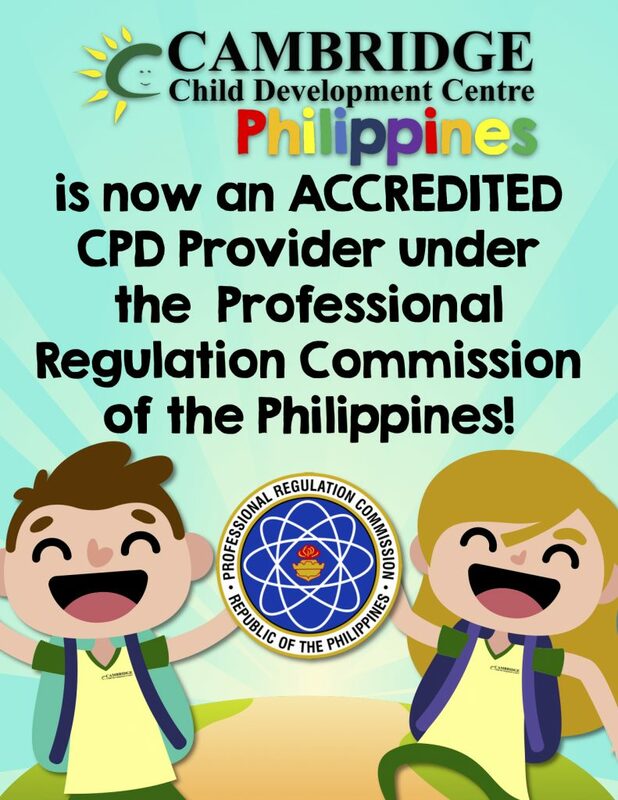 As part of our commitment to enhance the proficiency of our teachers, we are now an ACCREDITED CPD (Continuing Professional Development) PROVIDER under the Professional Regulation Commission of the Philippines. Being one of the very few preschools who are part of this group, this can help assure and train our teachers to reach a high level of expertise and keep their skills and knowledge up-to-date! We can’t wait to partake in the mission of equipping teachers not just inside Cambridge, but also all around Metro Manila!